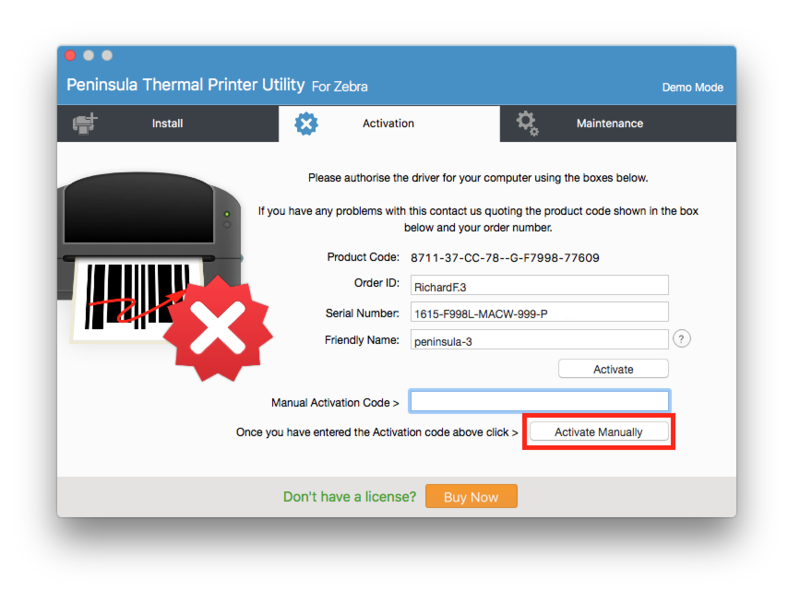 Below you will find a tutorial teaching you how to activate your Thermal Printer Driver. Above is a Youtube video we made to show you how to activate your Thermal Driver. 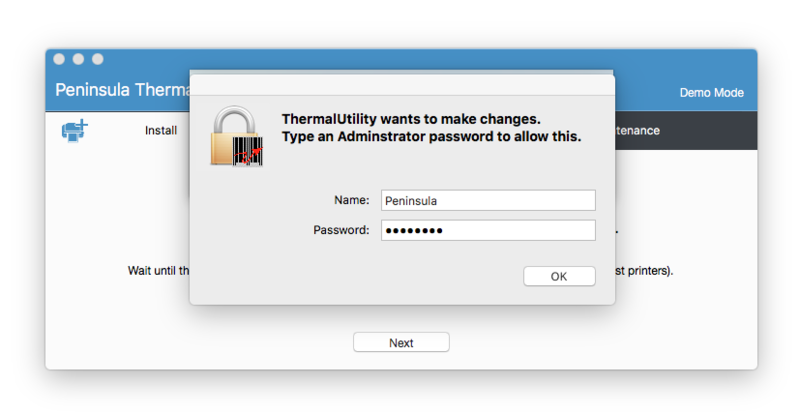 Once you have installed the Thermal Driver, open up the software. When the software is open, you will be asked for your username and password. 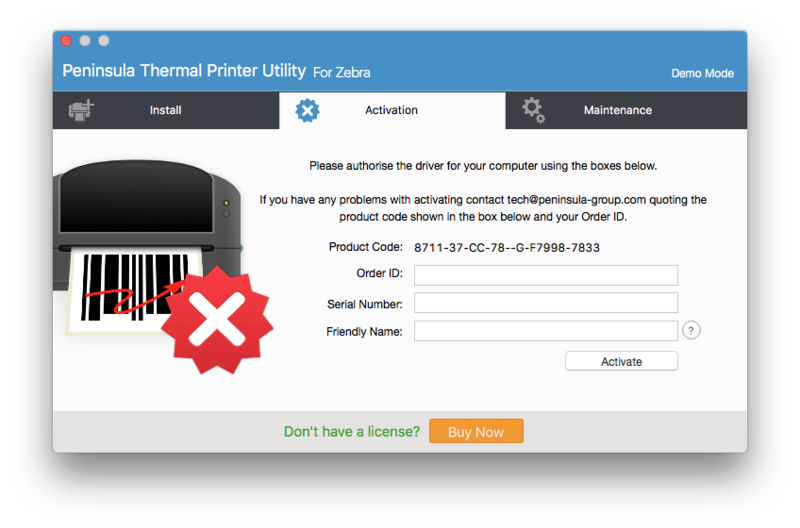 The user will need administrator privileges as this is required to install printers. Then navigate to the Activation tab in the top of the software. 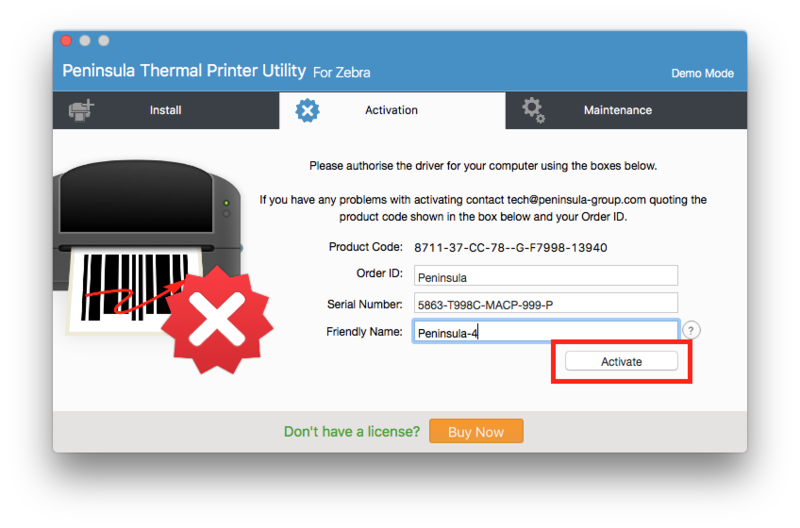 Enter your order ID and serial number into the correct fields, and press the Activate button. You will have received these in an email from Peninsula group when you purchase the Thermal Driver. 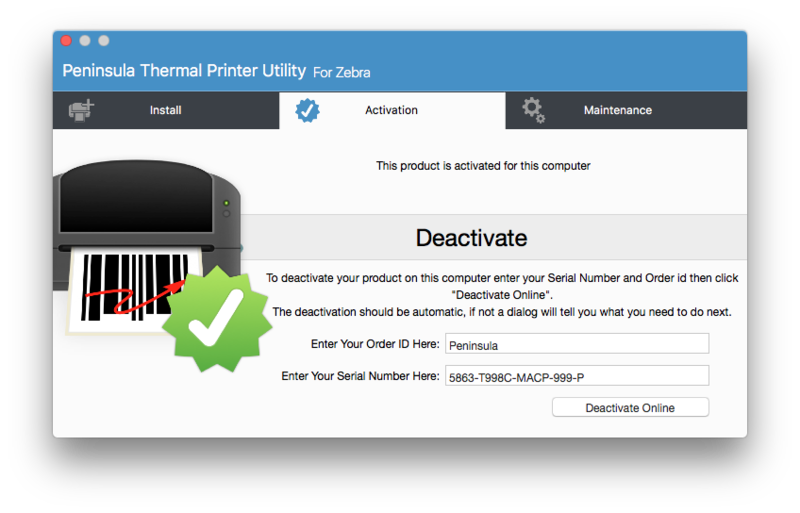 The friendly name is an optional field, that will make it easier for us to identify the machine if a remote deactivation is needed. If your computer is able to talk to our servers your software will now be activated, if not please follow the next step. They will then be able to generate a Manual Activation Code using your unique product code and email this to you. You should then click the Activate Manually button. 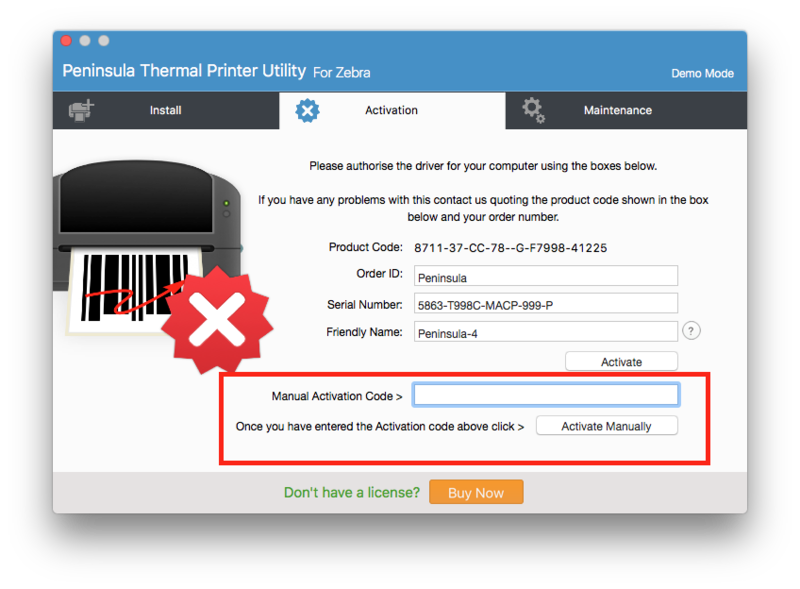 Once you have activated the software a green tick will appear in the activation screen to indicate the software has now been activated.